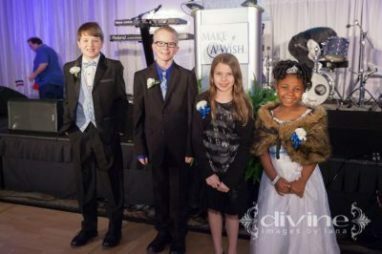 The Make-A-Wish Central & Western North Carolina Wish Ball raised more than $450,000 in 2015, and with the plan to grant more than 260 wishes this year, being part of this signature annual event has never been more important. The Wish Ball is once again being held at The Westin in their mission to help children with critical illnesses. The 2016 Wish Ball is on Friday, Feb. 12, at The Westin Charlotte (601 S. College St.). The event starts with registration from 6-7 p.m., dinner from 8-9 p.m. and a live auction and raffle from 8:30-9:30. The evening includes an entertaining cocktail hour, an elegant dinner prepared by the master culinary team at The Westin, music and dancing to the sounds of Flashback the Party Band, and silent and live auctions. Most important, The Wish Ball is an evening of charitable giving: Since the event has started, it has raised more than $2 million towards granting the wishes of children with critical illnesses in our community. Parking for the event will also be discounted for Wish Ball guests, at a rate of $12 for valet services and $6 for self-parking. Individual tickets are available for $250 and can be purchased at the event website. In addition to the children whose wishes Make-A-Wish Central and Western North Carolina hopes to grant, there are another 200 children in the community who are waiting to have their wishes granted. Those kids may live in Winston-Salem, Greensboro, Asheville, or anywhere else in Central and Western North Carolina. If you aren’t able to attend The Wish Ball, you can still help Make-A-Wish with a car donation to Wheels For Wishes benefiting Make-A-Wish Central and Western North Carolina. To donate a vehicle to Wheels For Wishes, benefiting Make-A-Wish, please call 1-877-431-9474 or fill out our easy vehicle donation form. If you make your donation before 11:59 p.m. on Dec. 31st, you can still get a maximum car donation tax deduction when you file your taxes. You won’t regret it!